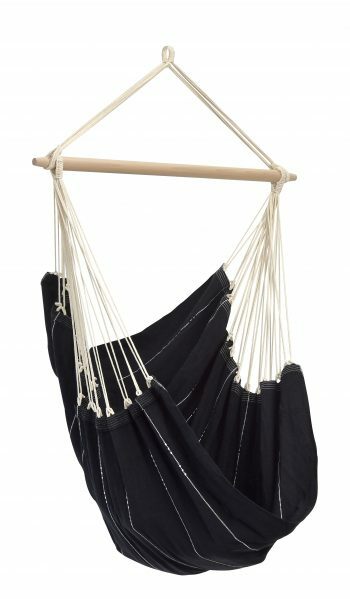 Anyone into interior design (or who has surfed Pinterest for five minutes) has stumbled across the fun, unique piece of furniture known as the indoor hammock chair. The Internet loves to share high-resolution photographs of luxurious-looking hanging chairs looking out bay windows into the sunset. We often find ourselves staring longingly into the perfectly-decorated, crystal-laden bedrooms, wishing we could capture a piece of the fun and serenity inside. We love elegance, but unfortunately, living rooms and bedrooms often fall victim to stagnation. It can be difficult to make any given room feel fun and free without sacrificing taste and maturity. You want something interesting and different, but you don’t want your house to come across as childish! There has to be a middle ground between boring executive, college hippie, and excitable Kindergartner. The hammock chair is that middle ground. It can be as elegant or as “hippie-ish” as you would like it to be, and it adds a simple, free-spirited feel to any room. The gentle swing of a hammock chair is just the amount of movement to take your home from still and stagnant to fun and free. The benefits of a hammock chair are more than aesthetic appeal. Today, a shocking number of American adults struggle with chronic neck or back pain, and many times our chairs are to blame. No matter how much effort you put into maintaining your posture, you are going to have problems if your chairs are stiff or poorly-built. Sitting in a comfy hammock chair can reduce the stress on your spine and your joints, which reduces inflammation and reduces pain. 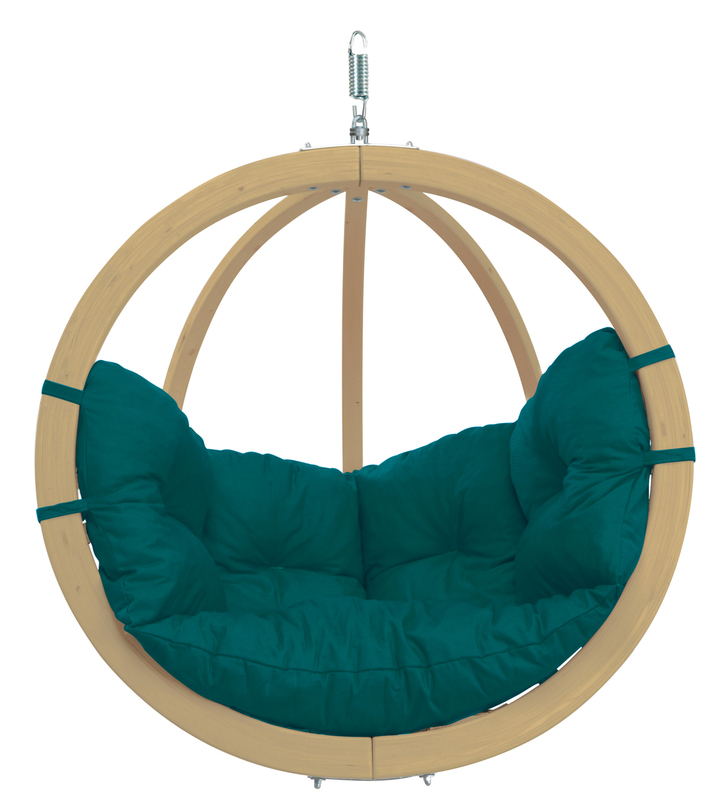 Defying gravity in a gently swinging seat could be just what the doctor ordered. Hammock chairs are kind to more than just your spine– they can be an integral part of any routine meant to promote muscle relaxation. Unlike unforgiving computer chairs or recliners, hammock chairs gently adjust to every detail of your body. Instead of forcing your muscles to submit to their shape, hammock chairs gently mold around your form, supporting muscles without forcing them into tense, uncomfortable positions. This eliminates problems with pressure points and promotes full-body relaxation. Warning: accidental naps are a possibility! If you find yourself squirming, fidgeting and distracted when you are trying to work on projects, a hammock chair may be the solution to your restless brain. There is a reason why some therapists, naturopaths and alternative healers recommend hammock chairs for their wound-up patients! The constant, gentle swinging that comes with sitting in a hammock chair keeps your mind stimulated, which improves your ability to concentrate on tasks like reading or writing. Relaxation and concentration lead to one thing: meditation. Anyone who has tried to get into meditation has run into the difficulty that comes with sitting still– your body gets uncomfortable, which leads to a restless mind, which leads to endless fidgeting. Once you realize you are fidgeting, you become frustrated… which leads to more fidgeting. It is impossible to feel ‘zen’ when you can’t get comfortable. 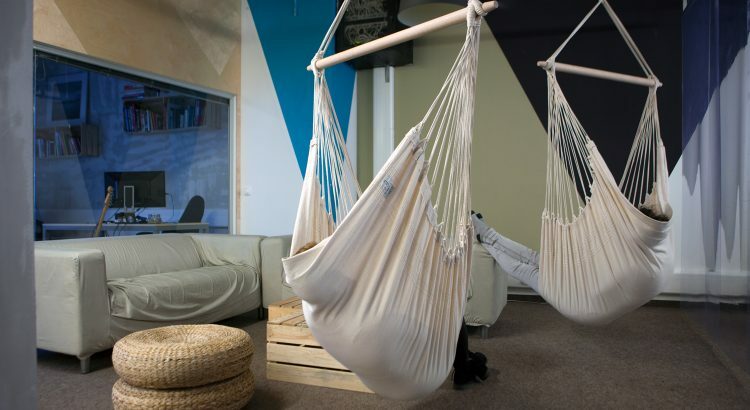 Hammock swing chairs eliminate that vicious cycle altogether. They provide the comfort and clarity necessary to become a meditation pro. By now, most of us have heard that sitting is the new smoking– staying perfectly still for long periods of time can increase your risk of heart disease, diabetes, obesity, and even cancer. While hanging a hammock chair in your home is not an excuse to skip the gym, it can go a long way in encouraging movement throughout the day. 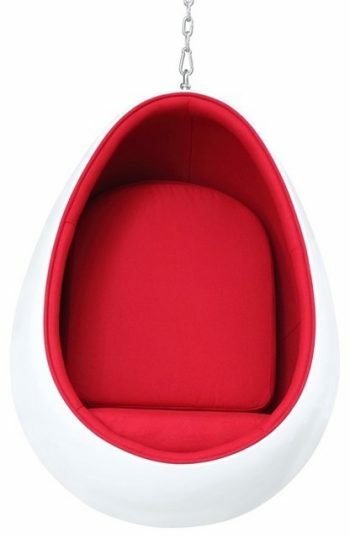 The swinging motion itself encourages gentle movements while you are seated. In addition, the improved focus and energy levels will mean that you are more inclined to move throughout the day. A good hammock chair may help you hold onto the energy you need to convince yourself to go for a jog on a Saturday afternoon. Gone are the days when you had to heft your thousand-pound armchair out of the way to vacuum your living room. Hammock chairs take up minimal space. If you hang yours from a stand, you can move it around the house as you please– which means that, theoretically, you never have to sit in another chair again. You can use a hammock chair in your home for eating, reading, writing, watching television, or staring out the window. The possibilities are endless.